Todd Dr. Shay (Lead Guitar), and Brett Vargason (Drums). 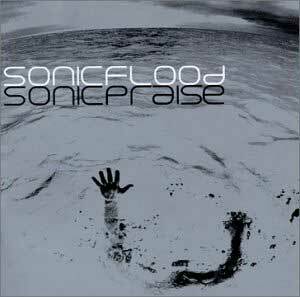 Rick Heil, originally a member of the 3 time grammy nominated, well-established Christian band, "Big Tent Revival," was led to join a fledging band, known as Sonicflood. This group shared their music ministry on the road, traveling in a van. They soon had a successful record album, but unfortunately the band members went their separate ways, leaving Rick Heil with the responsibility of the band's appearance / tour obligations. Knowing that the Lord had called Sonicflood into this music ministry, Rick wanted to honor God by finding a way to honor these performance commitments, so he picked up the phone and called some friends who all had a heart for worship. Instead of giving up, a new group of Christian musicians was formed, eager to carry on this music ministry that Sonicflood had been called to do; promoting praise and worship of the Lord, encouraging a closer walk with God. "With all that is going on in the world today, sometimes it's hard to keep our eyes on Jesus, and his faithfulness." "Fear has a way of creeping into our lives, and causing us to forget that Jesus our Lord and Savior has conquered all, even death, and has empowered us through faith to do the same. We, the members of Sonicflood, want to be a part of helping others remember that our Savior is not only kind and gentle to us, He is consistently waging war against the enemy on our behalf, and we can walk in courage throughout our lives. He has paved the way, and our futures lie in His hands." "As part of this focus, we are launching the Fearless Planet tour in the Spring of 2004. The tour will feature another great band, Building 429, as well as well-known speaker/author Michael Franzese. Michael has been known for doing what few have done before, he left a life of organized crime and was touched by the Lord, and now speaks to hundreds of thousands about God's saving grace yearly. Moreover, he is living proof that courage comes from the Lord. He lives everyday not knowing if the next time he turns the key to start the engine on his car, if he will actually hear the motor start. He believes that God has saved him, and walks out courage, living in faith. We're excited to have him out."